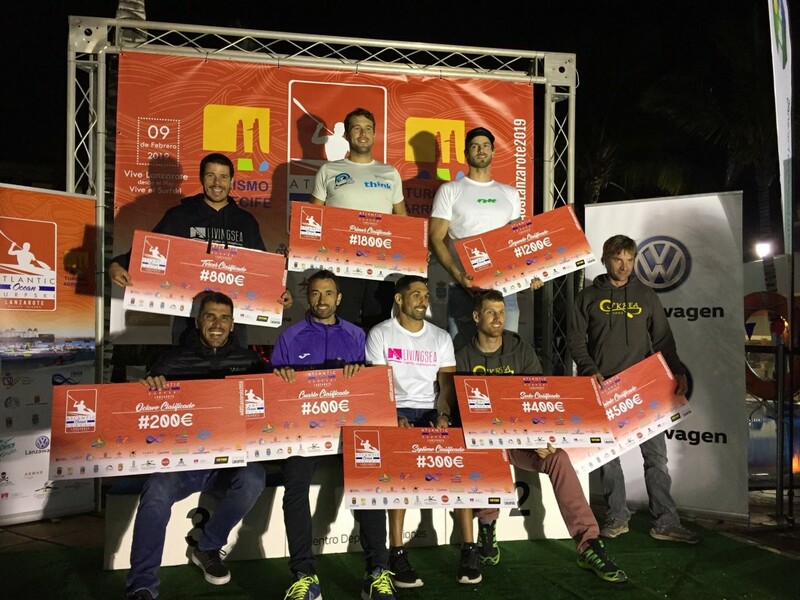 Spanish island Lanzarote hosted the third edition of Atlantic Ocean Race which was a record breaking this year with more than 150 competitors from 16 countries taking part in this sporting event. Medallists from last year’s ocean racing European Championships have been among the best here too, but the win in men’s SS1 Elite category went to Sean Rice from South Africa and in women’s SS1 Elite category to his compatriot Hayley Nixon. The competition was divided into three stages and the final result was the sum of the three results acquired throughout the day. The first part of the race was a 17 kilometres long course between Olaya de la Garita and Playa de las Cucharas, the second stage was held between Playa de las Cuchars and Playa de las Reducto which was 10 kilometres long, and the final part of the race was a 13 kilometres long course between Playa de las Reducto and Playa Grande. In men’s SS1 Elite category Sean Rice from South Africa won in the overall standings. Rice won the first stage of the race ahead of German paddler Gordan Harbrecht and reigning European Champion Esteban Medina from Spain. The same three paddlers finished the second stage in exact the same order, while Gordan Harbrecht won in the last stage ahead of Sean Rice and French representative Nicolas Lambert. In the overall standings Sean Rice won with a time 2:37:10, ahead of Gordan Harbrecht who produced a minute slower time, while Esteban Medina in third place finished the race with a total time of 2:43:08. Winner of women’s SS1 Elite category was Hayley Nixon from South Africa who was the fastest in all the stages of the Atlantic Ocean Race. In the first stage Judit Verges (ESP) crossed the finish line second and European Champion Angie Le Roux (FRA) was third. In the second and third stage Le Roux came second and Verges third, but in the overall standings Judit Verges won second position and Angie Le Roux was third with less than a minute behind second placed Spanish paddler.